A little tree was needed for a small felt scene. It came to mind that a pine or spruce would be ideal, so I played a little as I pondered on what I could share as a free pattern. The two tasks merged . My initial idea was to make the tree as simple as possible. 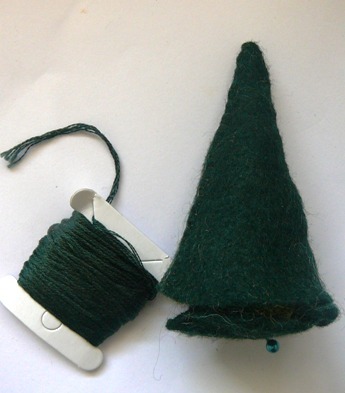 These trees can be any size, so there is no standard pattern, my first attempt was a simple cone made from two triangles cut free hand,then blanket stitched along the two long sides and filled with fleece. The base was a circle cut to fit. 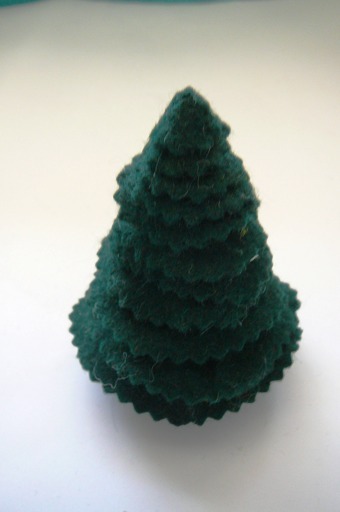 If you feel your tree needs to be stabilized you can insert a cardboard circle into the base. This alone makes a simple tree that can be used as is, however noticing a scrap of green felt that had a pinked edge led to one of those aha! moments . 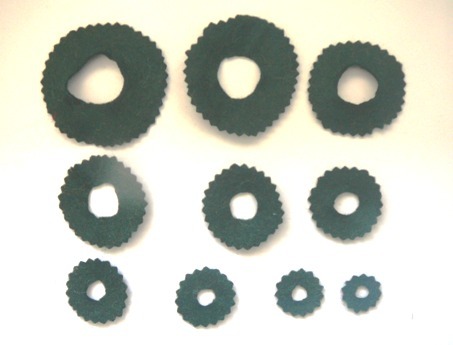 My aha was to cut different sized circles with pinked outer edges and slip these onto the cone. This was done by cutting a hole in the centre of varying widths to fit the cone. 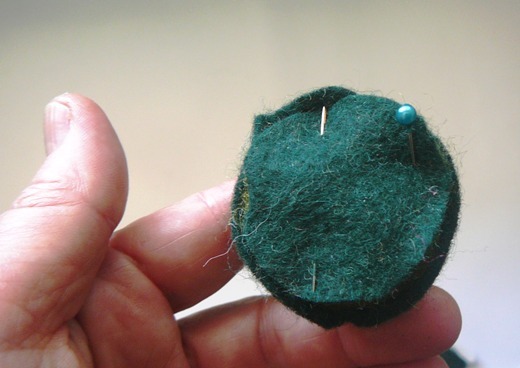 You could leave it unstitched as it was quite secure but if it is to be played with then I would recommend stitching around inner circle of the layers to attach them to the cone base. Foliage Circles- as many as you will. 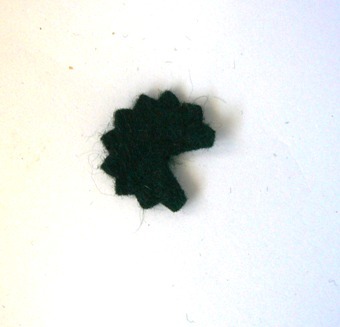 The very top was a rather tiny circle with a segment cut out ,stitched together and to the tree. 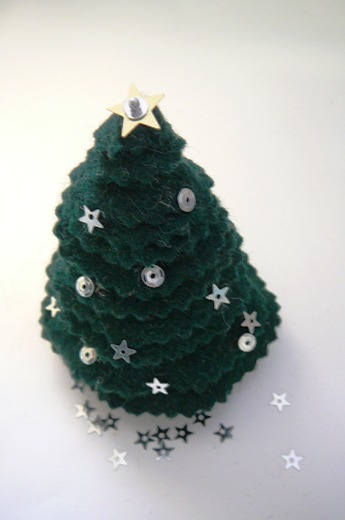 Simple, easy and also a child friendly project that is now very seasonal as these little trees could be decorated with tiny bells, beads and sequins as above to make a table centrepiece or left plain for play or nature table. If you wanted to you could create an “arty” tree using different colours for the layers, or perhaps a white sparkling tree with glitter glue frost or……All you need is your own imagination and whatever is at hand. Putting it altogether in Sequence.left to right. That is an awesome idea! Something I could make with my daughter – thanks!